Can I replace audio in Omny Studio? Replacing the audio in a podcast episode or a clip. 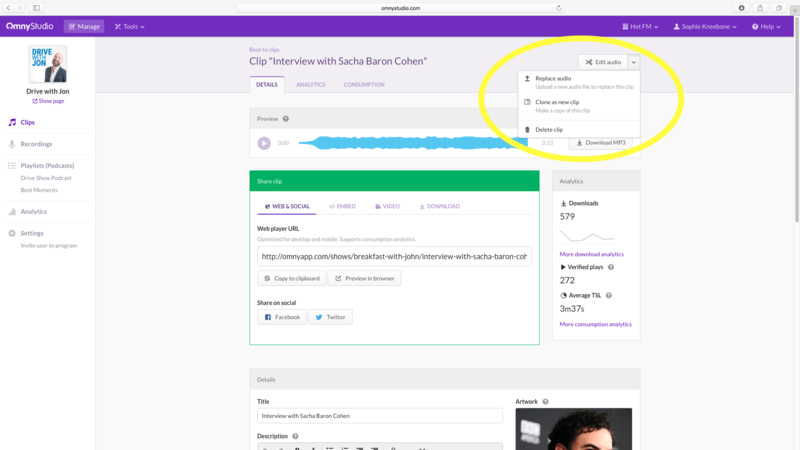 You are able to replace the audio in a clip by selecting "Replace audio" from the "Edit audio" drop down menu. You are also able to re-edit or change the audio in our in-built editor for a clip.